In the early 90's Kathleen followed her dream to live in Florence. She attended the Studio Art Center International (SACI) in Florence, Italy. 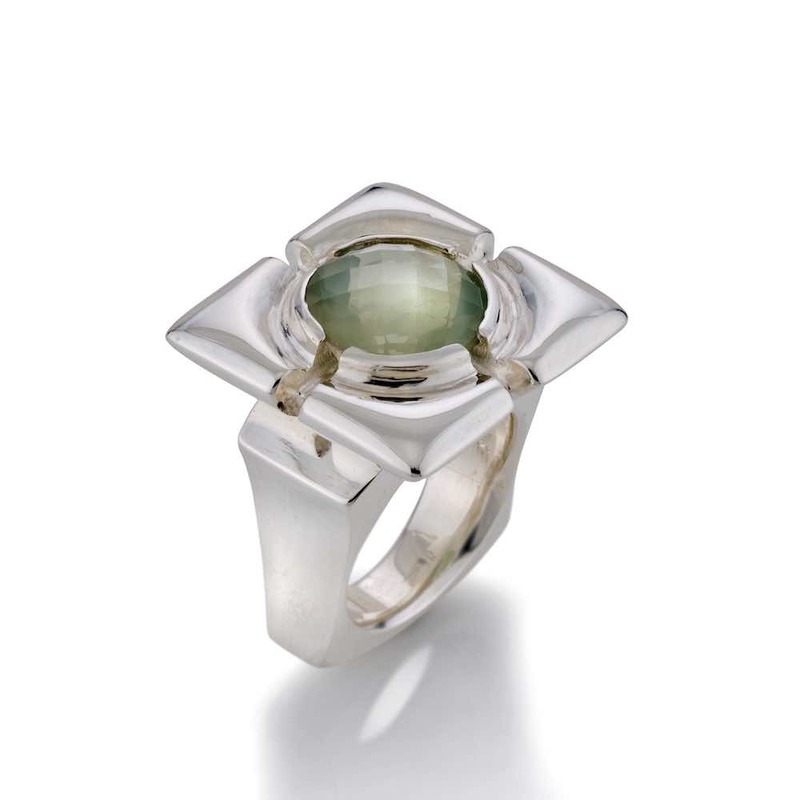 Upon returning to the United States, she continued her jewelry studies at the Tyler School of Art in Philadelphia, PA. In 1991, she made the cross country journey to live and work in San Francisco. It was here that she worked under a master goldsmith learning many skills and tools of the trade. In 1995, inspired by her client’s enthusiasm for her designs, she launched her own jewelry design business and continues to hand make all her own pieces. As Kathleen developed her jewelry collections, she also developed her awareness about the materials she used and where they come from.... the earth. In keeping with her personal beliefs of doing one's best to conserve nature, she has added the use of 100% reclaimed Sterling Silver to all of her cast pieces.